It just wouldn’t be San Diego Comic-Con without a killer, officially licensed exclusive from our friends at Hot Wheels! 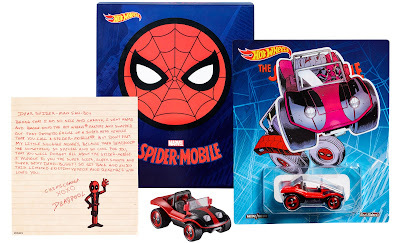 This year the iconic brand is teaming up with Marvel to release the San Diego Comic-Con 2017 Exclusive Spider-Mobile. 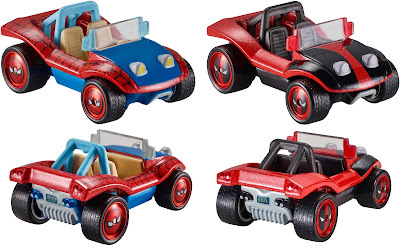 Spider-Man’s 1:64 scale car features real rubber tires and hubcaps emblazoned with Spider-Man’s face, and will retail for $15. 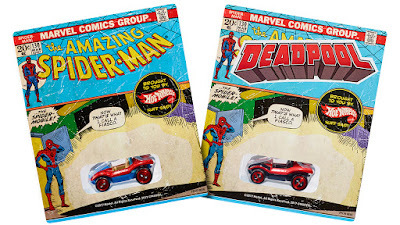 What’s really awesome about this exclusive is that it will be sold blind box style and features a 1:5 chase variant of Deadpool’s Dead Buggy!!! 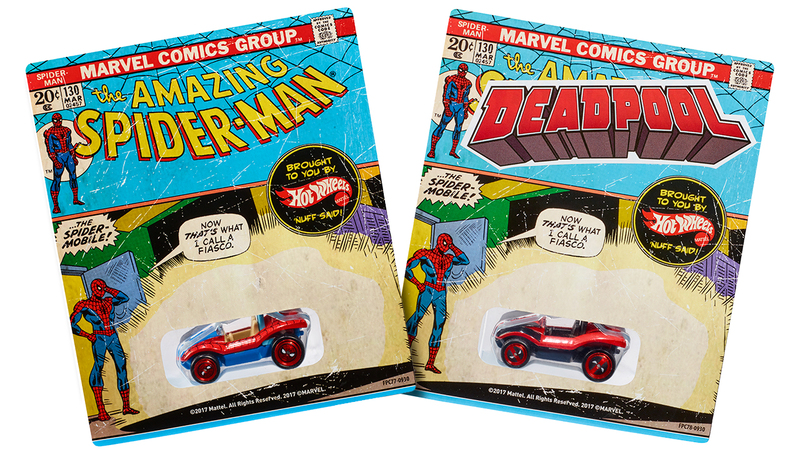 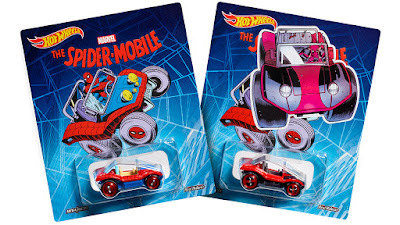 Deadpool snuck into the Hot Wheels factory and “customized” Spidey’s dune buggy into the Dead Buggy, which features and red and black color scheme with Deadpool hubcaps. 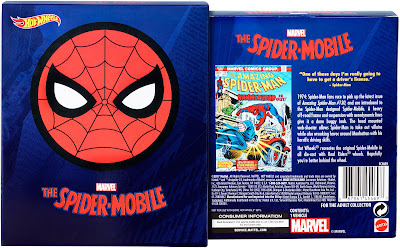 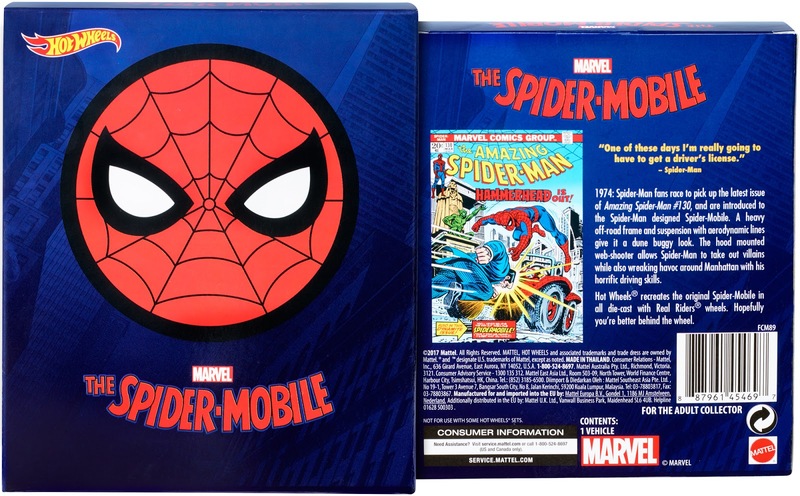 The car’s internal packaging will even come “vandalized” by the Merc with a Mouth to transform the Spider-Man blister card into a Deadpool blister card, and includes a letter from little Wade Wilson.